It was a turbulent and traumatic time in Argentina in the late 1970s, featuring a political collapse verging on civil war; a military coup; and massive illegal detentions, torture and kidnappings. 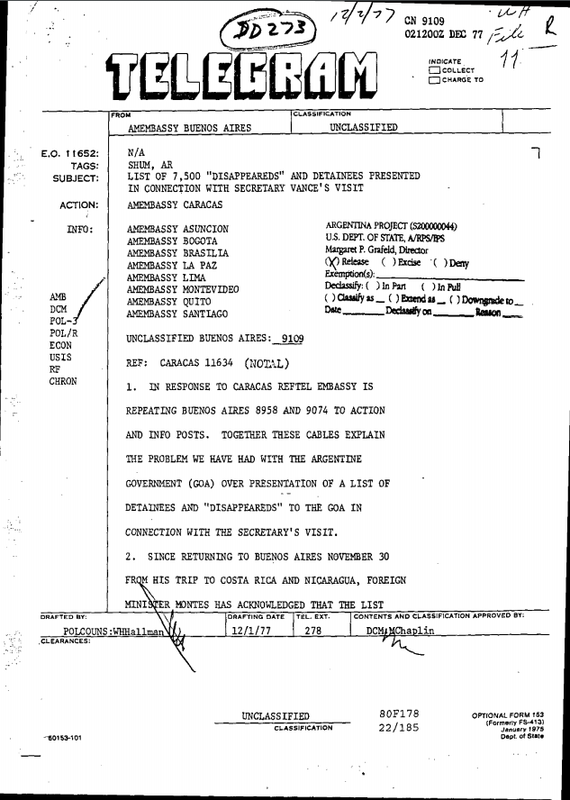 Argentina, 1975-1980 comprises 2,429 documents and these documents show U.S. officials grappling with human rights violations on a scale never heard of in the Western Hemisphere, underscored by the dramatic disappearance of tens of thousands of people at the hands of the security forces. [Screenshot from Argentina, 1975-1980] United, States Embassy. 1977. List of 7,500 “Disappeareds” and Detainees Presented in Connection with Secretary Vance’s Visit. ProQuest. 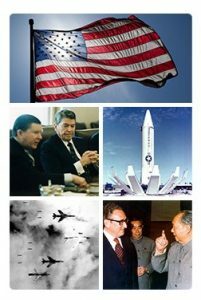 The declassified records in this set, most of them acquired by National Security Archive project staff and never before published, illustrate the birth of human rights as a priority in U.S. foreign policy – along with more traditional concerns ranging from the spread of international communism to nuclear proliferation in Latin America. This entry was posted in Online resource, Primary sources, Trial and tagged 20th century, archives, Argentina, Databases, History, International Relations, official documents, Politics, primary source, United States by cstirling. Bookmark the permalink.